I mean this name is pretty awesome, right? 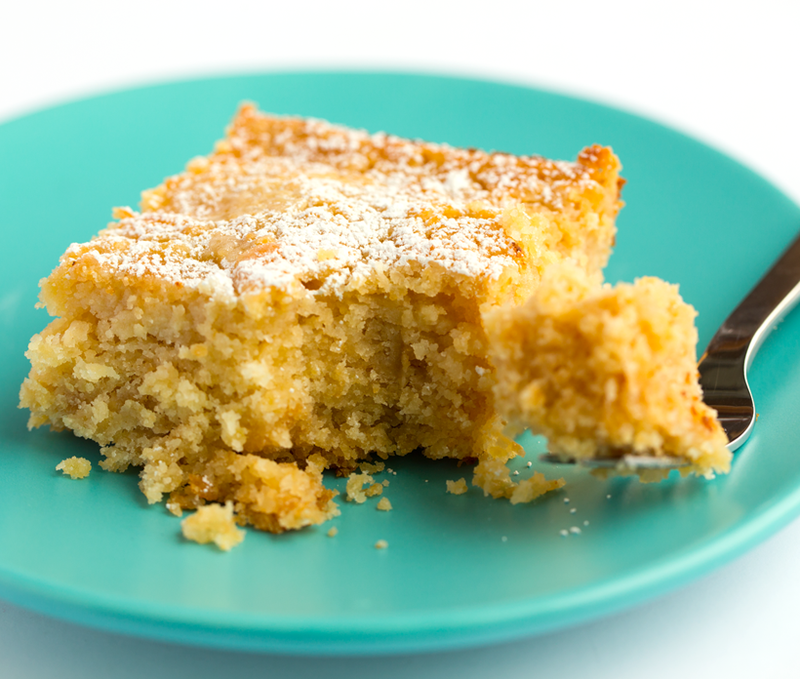 Gooey Butter Cake is a St. Louis classic cake. As part of the 50 Plates of Tofu Series I am participating in, I decided to give this yummy dessert a vegan makeover to represent Missouri. And it turned out great! 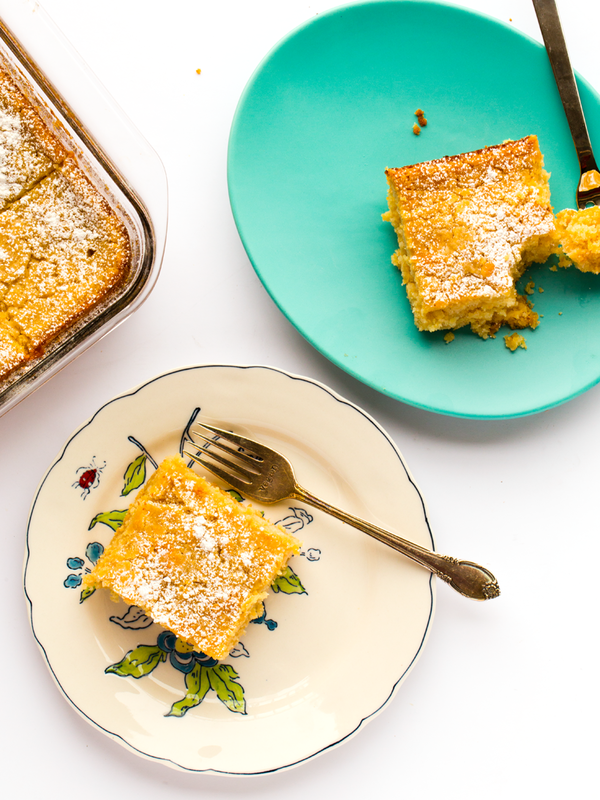 Rich, buttery and sweet. I can imagine this treat being served in a cute little bakery, a pot of hot tea on the side. Give it a try and see for yourself.. Happy Friday everyone! First, thank you so much for the response to my Vegan Unicorn Frapp! I am so happy my magical creation reached so many people. And I loved responding to comments on the Facebook video, which has reached over 350,000 views! Yup, unicorns taking over the world soon. PS. I sent out the latest HHL Newsletter today. Check it out and subscribe if you'd like to stay in touch. Cozy Classic Dessert! 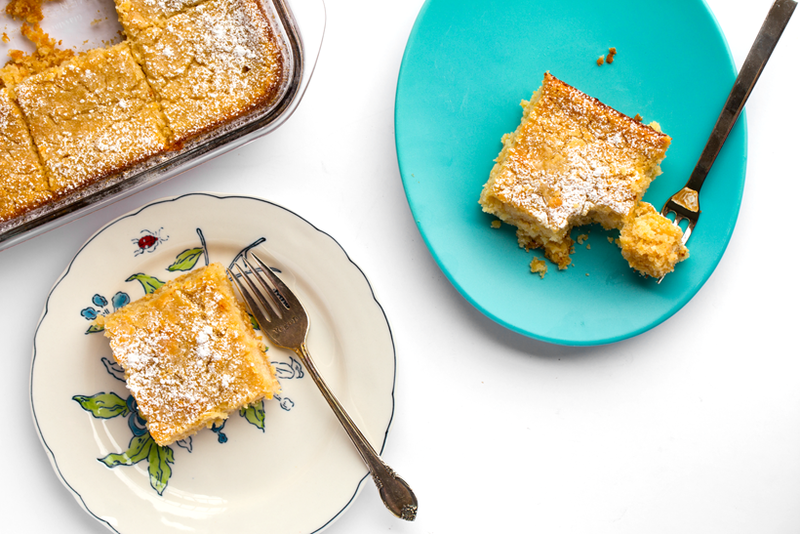 Using delicious silken tofu allows for a vegan version of this classic buttery recipe. 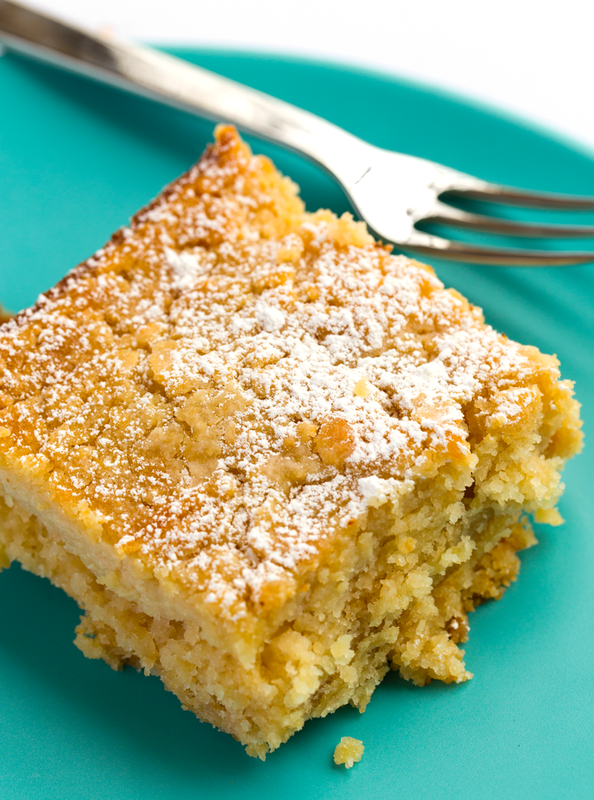 Dusted with powdered sugar, moist and ‘gooey’ in the middle, this cake is easy and fun to make. Dress it up by serving it a la mode or with some chocolate or berry sauce on top, or fresh berries or sliced peaches on the side. How to make it "Gooey?" If you want it really moist and 'gooey' in the middle, I would under-bake it by a few minutes. 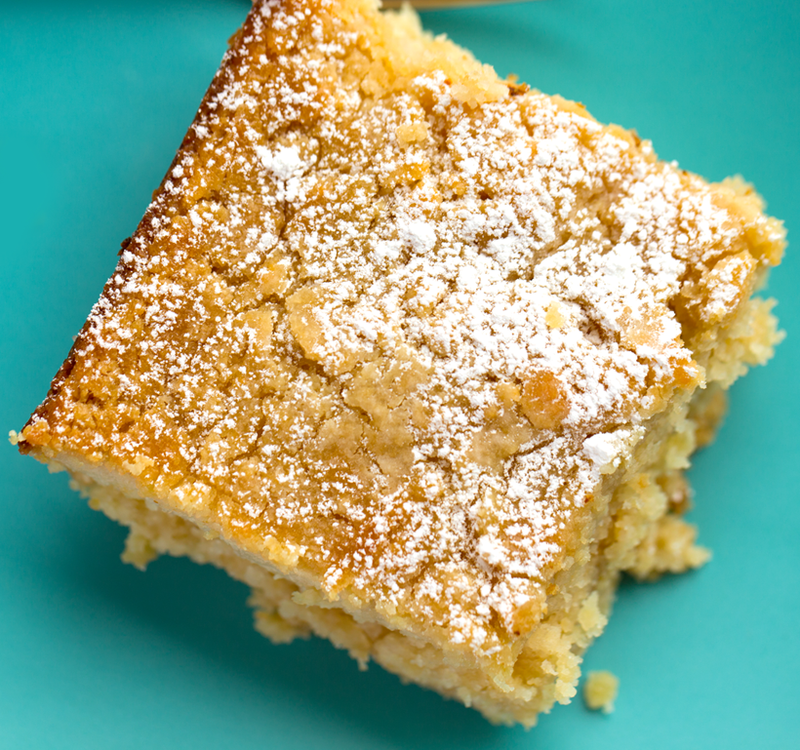 I was happy with the texture and it was definitely moist in the center - so rich and buttery! But if you want it extra soft, under-bake by a bit. Also, when you serve this as leftover you can microwave it for a few seconds and it gets very soft and buttery! So good. 50 Plates. This recipe is part of the House Foods 50 Plates of Tofu recipe campaign that brings to life one tofu-based recipe for each state. Follow along here. Also follow along on the House Foods Facebook Page. 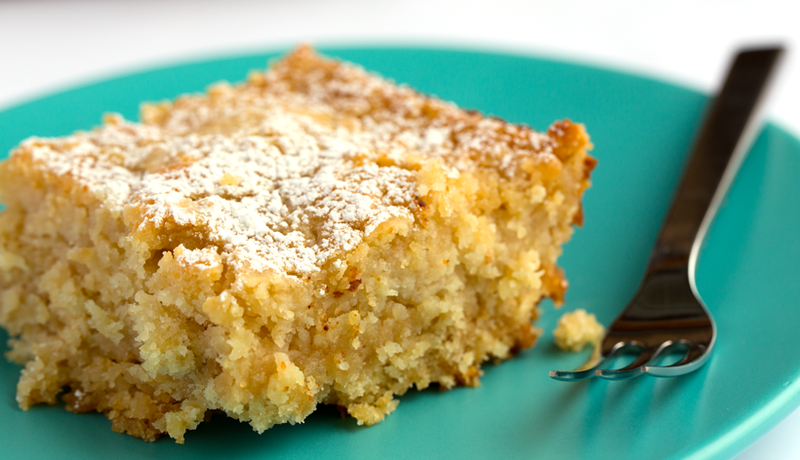 This St Louis dessert classic is made vegan using tofu! 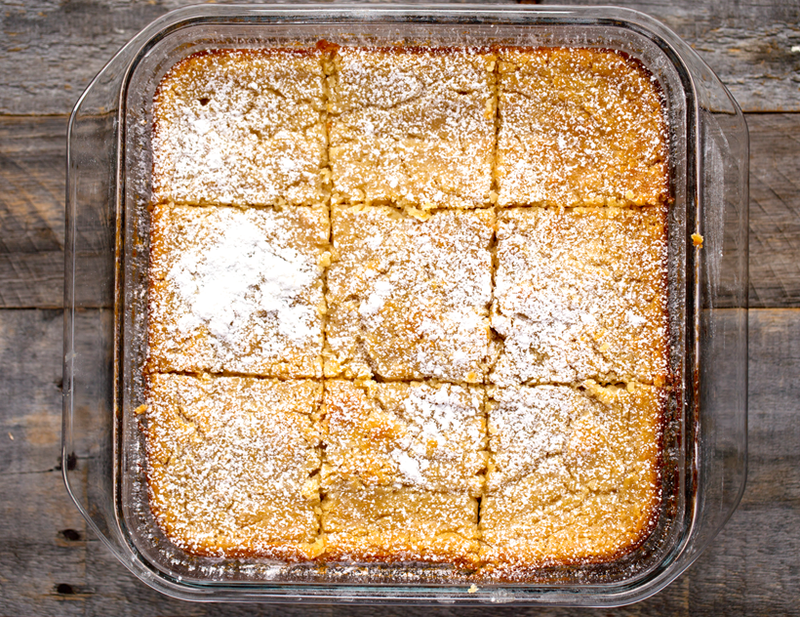 Dusted with powdered sugar and moist and 'gooey' in the middle. and grease your baking dish. 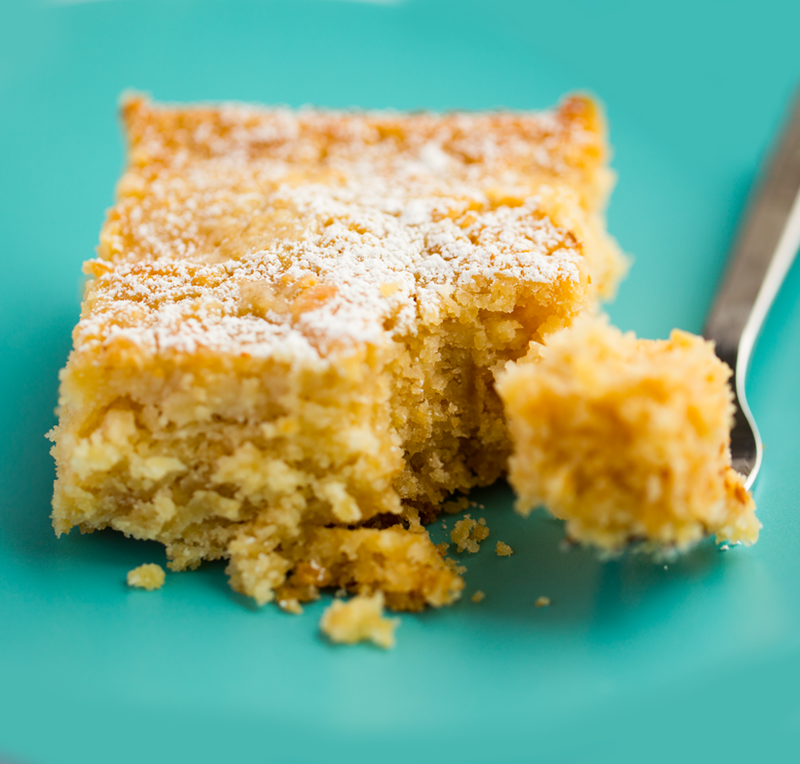 Combine the cake mix, ½ cup soft tofu and 8 tablespoons of melted vegan butter (1 stick). Blend using a hand mixer. 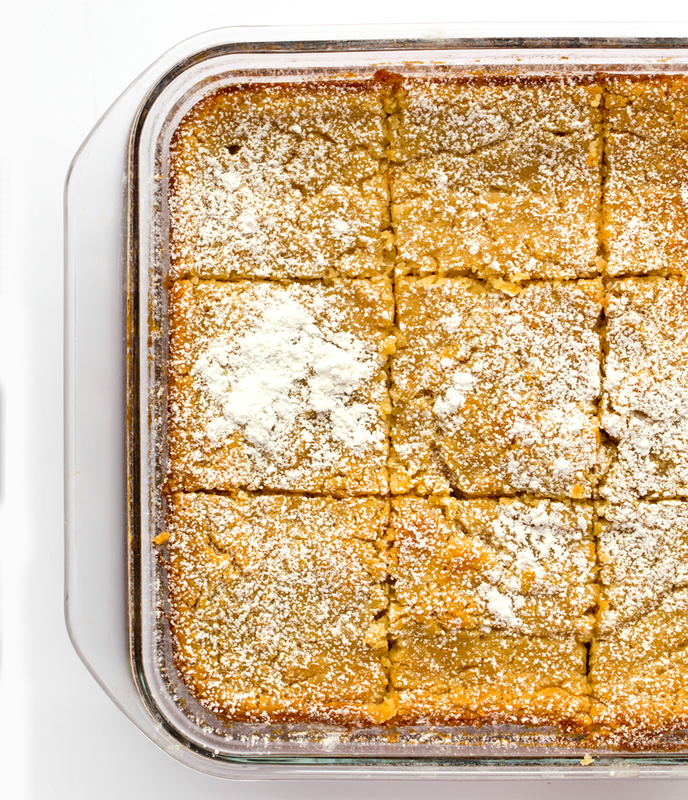 When mixture is moistened, dry and crumbly pour it into a lightly greased baking pan. Use your fingers or the back of a spoon to pat down the mixture a bit. Add the remaining melted vegan butter (1 stick), vegan cream cheese, 1 cup soft tofu, 1 tsp vanilla and 16oz powdered sugar to the large mixing bowl. (You do not need to rinse out the bowl.) Using the same mixer, beat until smooth. Pour this mixture over top the dry mixture in the pan. 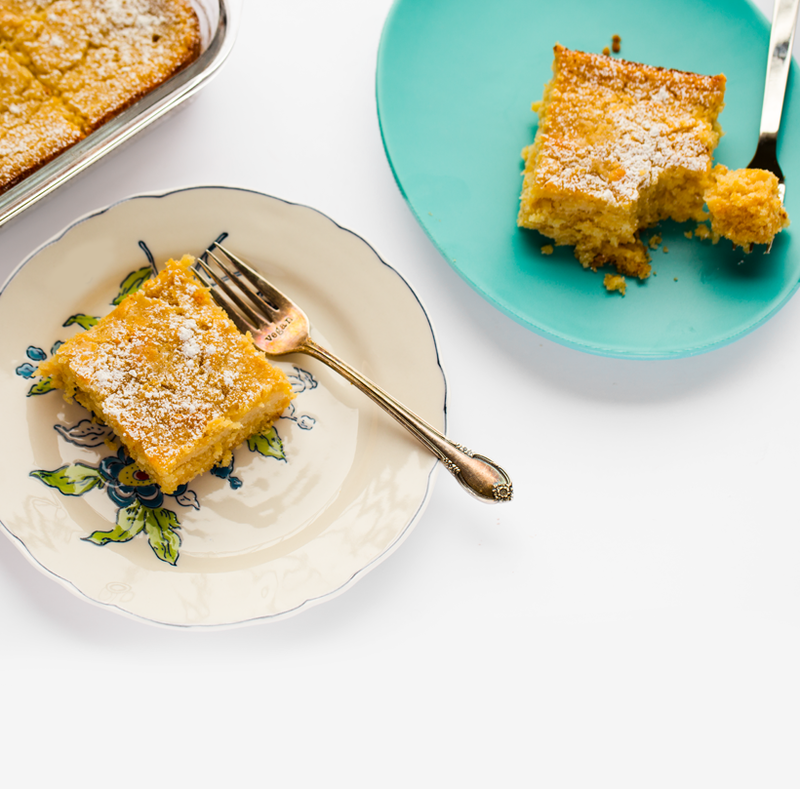 When cake is ready, allow it to cool completely before slicing and serving. Chilling in the fridge for a few hours or overnight is even better. To serve: dust with powdered sugar. More About Tofu. I love that tofu is incredibly versatile and can be used in both sweet and savory recipes. Tofu is an excellent source of complete plant-based protein. House Foods Tofu comes in organic and conventional product lines and is always Non-GMO Project Verified.